More often than never, flipping someone the birdy might not be the best option no matter how tempted you are. Raised by Wolves, a Montreal-based brand, recently released a small collection of slip-ons that carry a simple yet powerful message that leaves very little to the imagination. The slip-ons come in tonal shades of black, white and red with the message that reads as clear as it can. 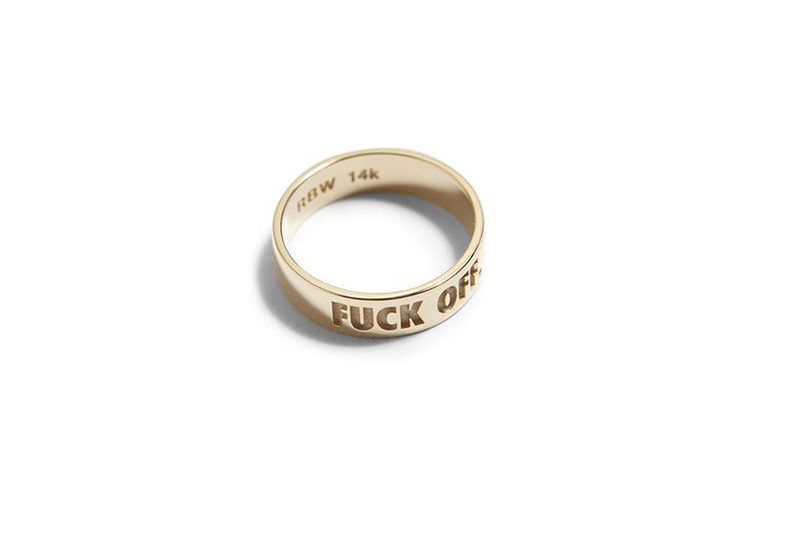 Alongside the slip-ons, they also released rings that come in sterling silver and 14k gold. Both products are on sale exclusively on their official website with the slip-ons priced at US$ 39, the silver ring at US$ 136 and the 14k gold ring at US$ 595. So, next time if you'd feel like flipping someone off, just point them towards your slip-ons. Pretty sure they’d get the message loud and clear.